This weekend I had a very special learning experience and one of the most delicious culinary adventures as well. Now that I know how to make fried ice cream, I’m here to teach you the secrets to Obento Delight’s spectacular dessert. My friend’s family owns a delicious Japanese restaurant on the UWS called Obento Delight. As a matter of fact, her father was the first person to bring delivery sushi to New York City. Talk about a genius idea! Besides the fact that the food is delicious, authentic, well-priced, and run by a wonderful family, it also has the best fried ice cream ever. Let’s talk a bit more about fried ice cream. As a kid, the concept of fried ice cream left me completely perplexed. Truth be told, up until a few days ago, I was still confused. How the heck can you put ice cream into a deep fryer without melting it? Better yet, what is fried ice cream? [I’m not literally asking what it is, I know it’s ice cream that’s fried, but how does it get that way, and better yet, stay in that shape?] All my questions were answered when I got a special tour and cooking lesson at Obento Delight. 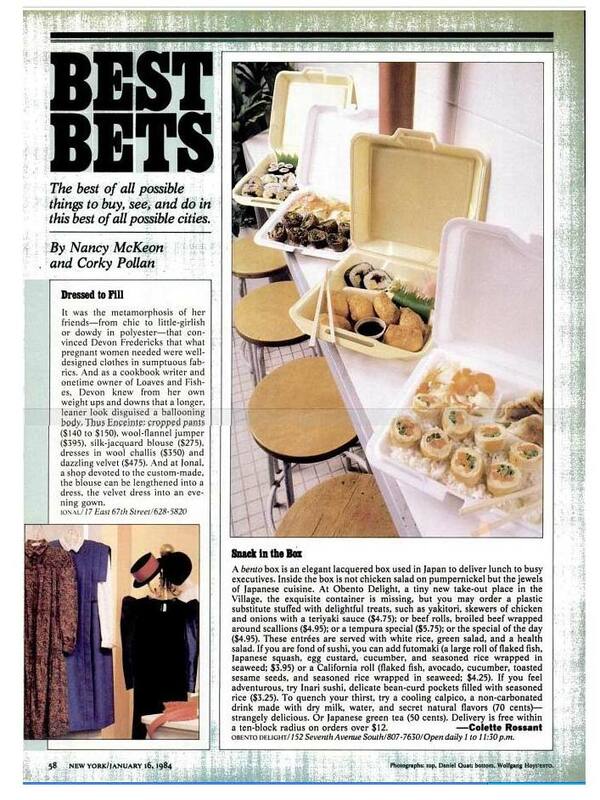 Check out the awesome article above from NY Magazine which called Obento one of the “jewels of Japanese cuisine.” That, my friends, is definitely true! At Obento, there are tons of flavor options to choose from, such as red bean, green tea, black sesame, or classic vanilla. Once you’ve made your selection, let the frying begin! First step - scoop that ice cream! 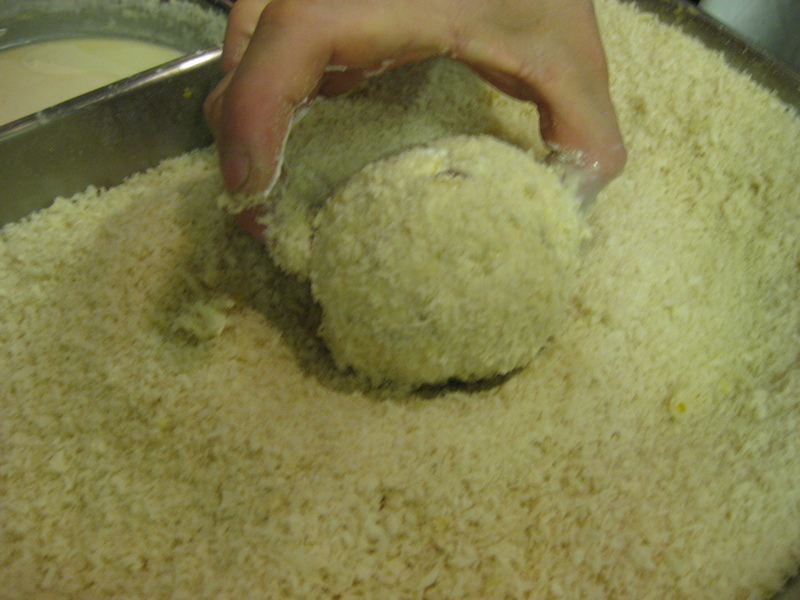 of how Obento creates their famous fried ice cream. Make sure to try it next time you’re there (oh, and good news, you can also get it for delivery) and if you are feeling adventurous, try and make it yourself at home too. Pick your favorite flavor and scoop it into the size of a snowball. Thinly slice four pieces of frozen (that’s important so that the cake is firm enough, and does not get too mushy) pound cake. 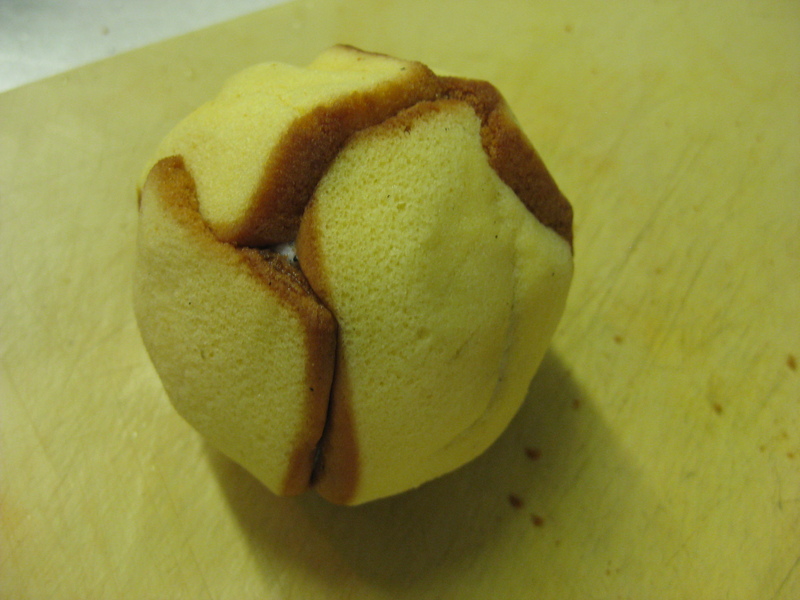 Wrap the four slices of pound cake tightly around the ice cream. Make sure to cover tightly or else the ice cream will leak through and melt! Cover in saran wrap and freeze overnight. Make sure to label the ice cream flavor (if you’re doing multiple options) because once covered in pound cake you’ll never know what flavor you made! 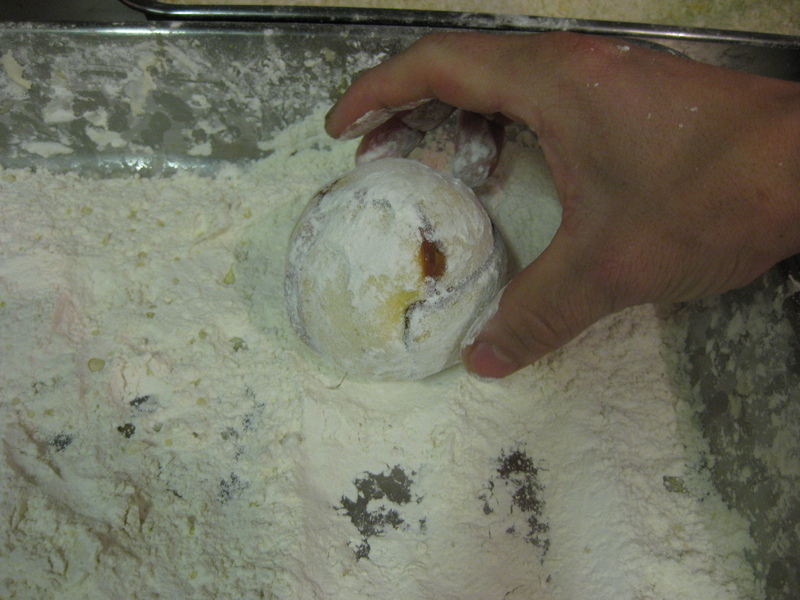 The next day, take the ball out of the freezer, remove the saran wrap, and roll it in tempura flour. Next roll it in tempura batter (which is essentially tempura flour mixed with water). The final step...coated in panko crumbs and ready to go! Last, for extra crispiness coat the ball in panko crumbs. Immediately drop the ice cream ball into oil. Fry for 30-45 seconds, flipping it at least once to make sure it browns evenly. As soon as it gets ever so slightly toasted looking, take it out of the oil and put on a plate. 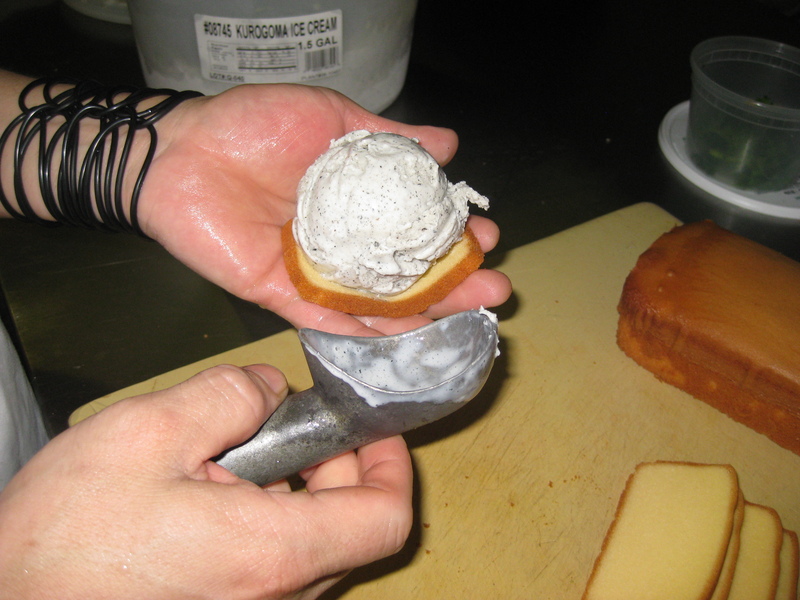 Slice the fried ice cream ball in half, cover with whipped cream and your favorite sauces. 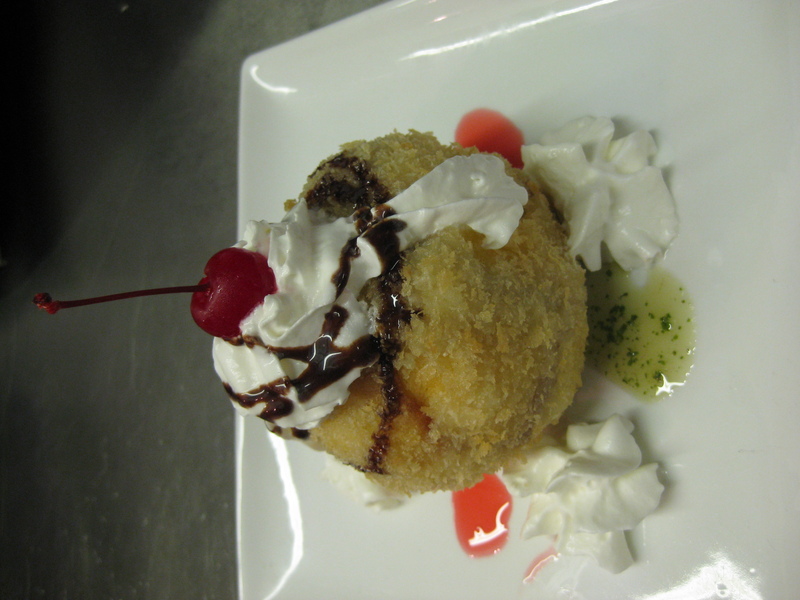 Slap a cherry on top and voila – fried ice cream! You should know that before my special cooking class, I had already eaten one huge cookie, a large cup of ice cream and a brownie. This, however, did not stop me from devouring the fried ice cream. I was slightly embarrassed at how fast I ate it. I tried pacing myself, I did, but when really good things are in front of me, I cannot contain myself. I think it’s a product of being a self-proclaimed sweet-o-holic, and the product of being married to The Husband who eats his food so fast you have to wonder there was ever actually food on his plate in the first place. The combination is lethal, and thus I tend to scarf my food. Eating Scarfing Obento’s fried ice cream was no different. Here’s the bottom line: Order from Obento or dine it at 210 West 94th. You won’t regret it. I need to eat here, stat!! #1. The first one reads “Oiishii”, which is “Delicious.” Hooray for that one! Ooooh I have always wondered about this and now I must try it.